End of June I contacted Keith Hanshaw director of TLSC to ask for a quote for my new Satchel. He was very nice and professional. He asked a few questions about my choice and took the time to have a look at my history with his company to understand what went wrong on my last orders to make sure everything would be right this time. 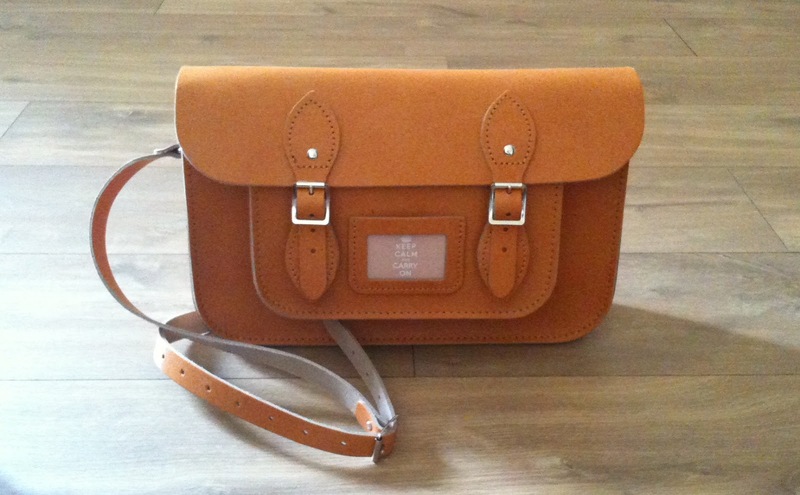 Anyway, the satchel has finally arrived on the 9th August. I was very excited to open the package....who wouldn't be !!! The satchel is beautiful and this time the rivet and ID holder are perfectly centered and the buckles perfectly symmetrical. It's a good thing I gave it a third try because their satchels are beautiful, the quality of the leather is really nice and the possible customisations make them unique and personal to each individual. I think they're the only company to do that in the UK which is pretty cool. If you're interested in leather goods, you might like this other post about Filofax.